← Past News Articles 2010- new brand for Sanrio? So in 2006 I went to Australia for 3 weeks, it was kinda my treat after 3 years at University. I really wish I’d been able to go for longer, a lot longer. The experience was amazing, a mix of cultures and a fresh modern location. On my way out to Australia I stopped off in Hong Kong to catch up with an old work friend. Originally from Hong Kong we’d met through our part time jobs, she went to Manchester Uni and I went to Salford. I’d only seen Hong Kong on TV, so I presumed it was awash with bright lights and nopise 24/7. Instead I found out that in the day the shopping areas were pretty bog standard, but as soon as the sunset everyone and I mean everyone came out to play. The bright lights and noise I imagined appeared. My friend showed me around and we ended up visiting the famous Ladies Markets. You’ll find lots of random merchandise for tourists, fake desaigner handbags, clothes and lots lost of Hello Kitty merchandise. 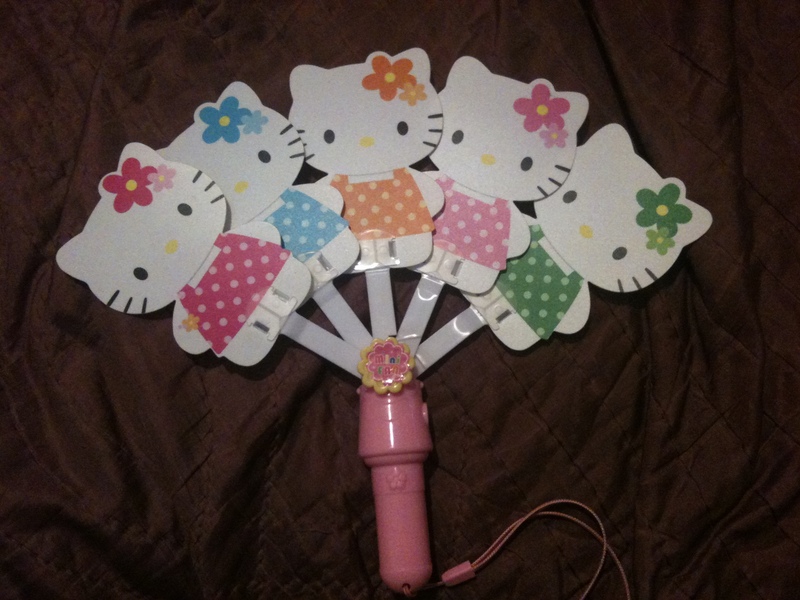 One of my many purchases that night was the fan below. Hong Kong was very humid, so it came in very hand! 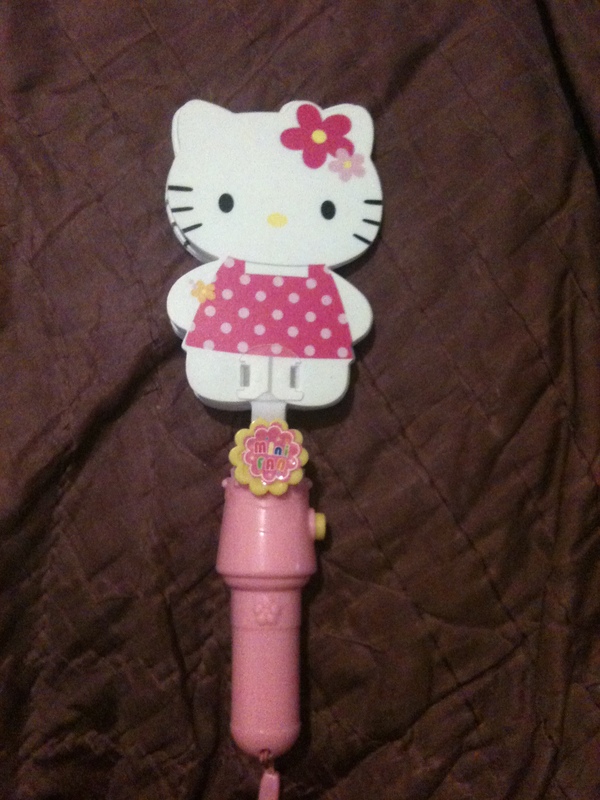 This entry was posted in My Hello Kitty Collection, Weird & Wonderful and tagged Cute, Hello Kitty Fan, Hello Kitty Fashion, Hong Kong, kawaii, Products. Bookmark the permalink.